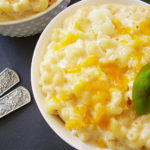 Cauliflower Rice Mac and Cheese: Cauliflower packed Mac & Cheese ! It is frugal to buy medium sized cauliflower head for my little family. We have some florets to be pulsed in food processor to add to Mac & Cheese one day and cauliflower salad for the next week day dinner. So, if you decide to make this dish from scratch, boil the whole cauliflower head until crisp tender, drain and set aside. Separate few florets and pulse them to be added to Mac & Cheese. Cut the rest of the cooked cauliflower to the bites suiting your preferences, add salt, ground black pepper, olive oil, garlic powder and balsamico, gently combine with spatula and leave in the fridge for the other day to have a side dish with pork chops or chicken or anything else. 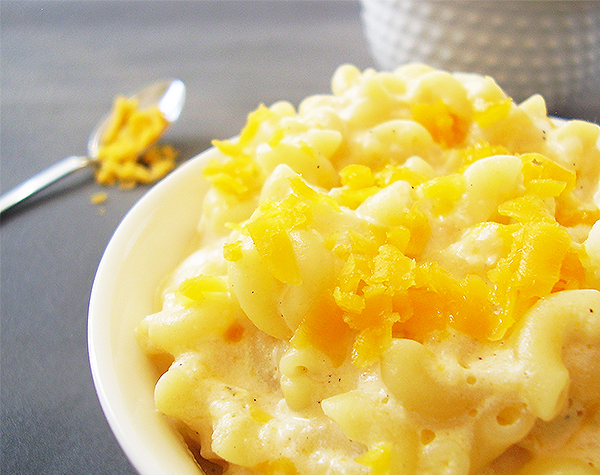 Melt butter in a skillet, on medium heat, and add cream cheese, heavy cream and cheddar. Mix until smooth. Add elbow macaroni and cauliflower rice and mix gently with spatula. Garnish with salt, garlic powder and ground black pepper to taste. If too thick, add some milk, boil additionally and serve immediately. 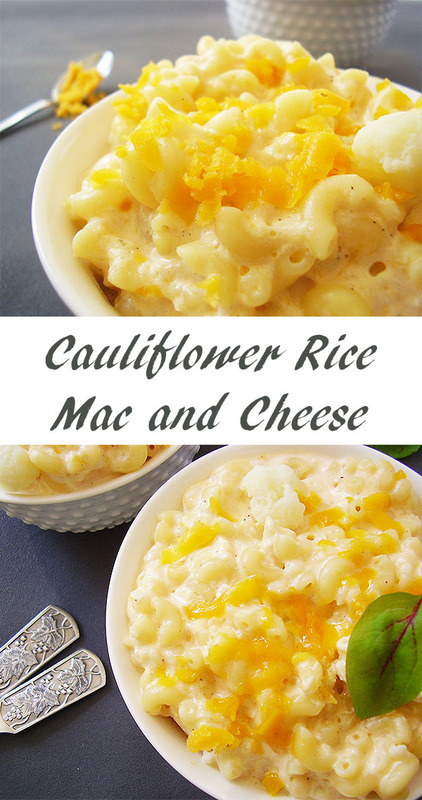 22 Responses to "Cauliflower Rice Mac and Cheese"
OH yes; I am sure you will enjoy this simple way:-) Thank you ! This looks so amazing and I would love to serve it to my family! Pinning!! Simple week dinners with vegetables are our favourites. Wining combination 🙂 Thank you Kim ! I have never found a cauliflower recipe that I didn’t like. This sounds fantastic. Agree David ! Thank you for commenting ! This is a new-to-me mac n cheese recipe. What a great way to use up leftovers+++there is cheese! Yes; comforting, frugal and tasteful ! Who could ask for more 🙂 Thank you Deb ! Thank you Ashika! Enjoy the day ! Adding this to must try list. I have been eating low card dishes and this one is perfect for my diet. Glad it fits your schedule 🙂 Thank you for commenting ! I am totally one who “sneaks” veggies into my family’s favorite dishes – my meatloaf is jam-packed with veggies and sauces usually have a veg or two whipped into them. But I’ve never considered Cauliflower Mac n Cheese. I like this idea! Going to have to give it a try! Thanks for the recipe! Thank you Laura ! Glad you love it ! I bake whole cauliflower very often, simply brushed with chilli oil, and sometimes divided into florets, Indian style. My favourite ways to have cauliflower! Oh yes. Some vegetables added to any pasty and cheese is great 🙂 Thank you Heather ! 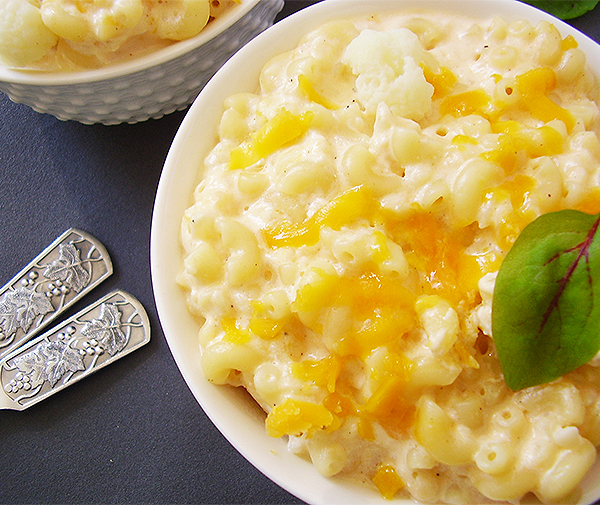 Great idea to add some veg to mac and cheese. 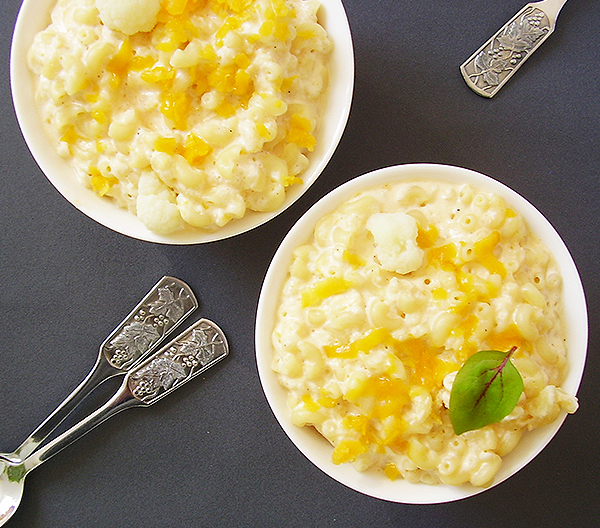 Cauliflower and cheese are such a natural combination. Agree completely; there are so many beautiful ways to combine them both 🙂 Thank you Frank ! Buona giornata !